You are here: Home > Where do you sit? 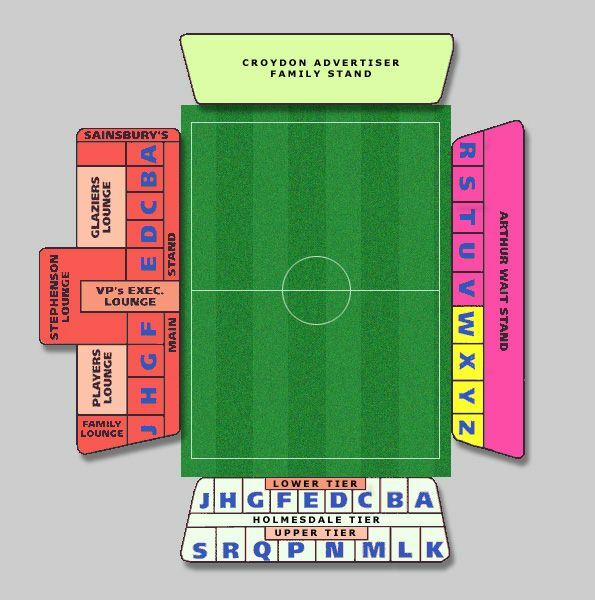 The idea of this section is to get an on going picture of where HOL members have their season tickets at Selhurst Park. Click on a block that you wish to view - If you have a season ticket in this block you will be able add your name to the list.